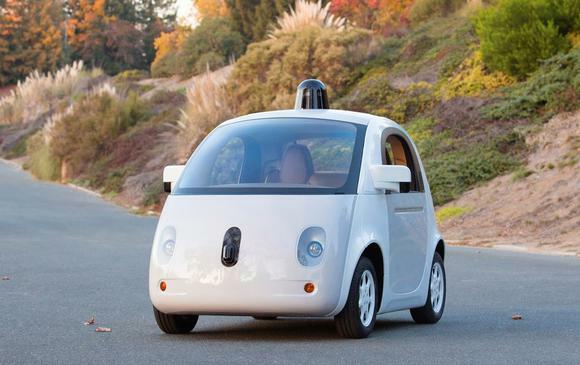 Google’s autonomous car fleet is undergoing a major expansion. In the last month, the number of cars it is permitted to drive on public streets has more than doubled, and Google now accounts for more than half of the driverless cars that are legal in California. As of Wednesday, the company has been issued 48 permits for driverless vehicles, according to records at California’s Department of Motor Vehicles. About a month earlier, on May 15, Google held just 23 permits. The additional 25 permits are for a new fleet of prototype cars that are undergoing testing on private roads, the company said. The cars, tiny two-seaters, are designed for neighborhood driving and have a top speed of 25 miles per hour. They’ll be hitting public streets some time over the summer near Google’s headquarters in Mountain View. Including two new permits issued to Mercedes-Benz, California’s driverless car fleet has hit 77 vehicles. After Google, Tesla Motors operates the second-biggest fleet at 12 cars. The electric car maker has said it hopes to provide a software update to its production cars later this summer that will largely automate highway driving. Google also has the largest autonomous car operator pool, with 202 drivers. That accounts for just under two-thirds of the 306 people licensed to operate autonomous cars in the state. The data was released on Wednesday as the DMV issued redacted copies of accident reports involving driverless cars. Regulations that came into effect in September 2014 require the reports to be filed each time an autonomous car is involved in an accident. Accident reports are typically confidential in California, but the DMV decided the slightly different nature of the cars meant it could release the information. The six reports issued on Thursday cover one accident involving a car operated by Delphi Automotive and five involving cars operated by Google. Four of the five Google incidents had already been self-disclosed by Google earlier this month when it issued the first of what it says will be monthly reports on incidents. The fifth occurred in June, after the period of Google’s report. Google says that to date, all of the accidents involving its cars have been the result of driver error, when the car was being controlled by a human, or were the fault of another driver. The autonomous driving system has not driven a car into a single collision, the report said. That was underlined by Google Co-founder Sergey Brin who spoke about the issue at the company’s recent shareholder meeting.